UK Government plan to tackle fuel poverty by 2018? According to an article in Utility Week – the UK government will have a plan to tackle fuel poverty – but not until 2018!! Bourne, under-secretary of state for the Department of Energy and Climate Change (DECC), said that energy efficiency measures in the wake of the Green Deal and ECO would be “centric to fuel poverty.” He told a meeting of the Energy and Climate Change committee that detailed plans for a single scheme to replace the Green Deal and ECO would not be set out until 2018, with a focus on “how we recast ECO”. 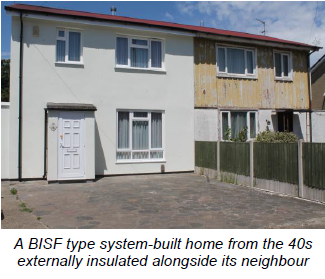 In November 2015, the chief construction adviser to the government Peter Hansford published his recommendations aimed at restoring the credibility of solid wall insulation (SWI). The report “Solid Wall Insulation – Unlocking Demand and Driving Up Standards” provides a roadmap for the way the industry needs to go to improve standards and quality of work, embracing best practice and restoring consumer confidence that will stimulate the uptake of these measures leading to improving comfort, health and well-being as well as carbon reduction benefits. The UK has a legally binding commitment to reduce carbon emissions from 1990 levels by a massive 80% by 2050. Accordingly, the Construction 2025 strategy has set the ambition of achieving a 50% reduction in emissions across the built environment by 2025. 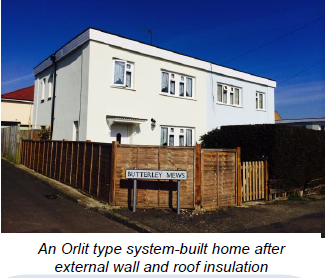 Given that there are around 26 million existing homes in the United Kingdom and over eight million of these with solid walls, adopting solid wall insulation as a solution for much of existing UK housing stock makes good business sense. 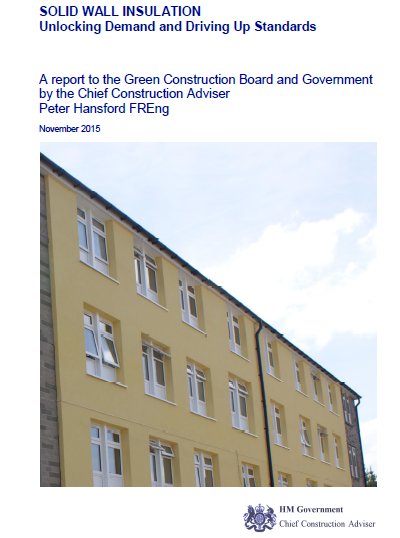 The UK Green Construction Board commissioned Peter Hansford to carry out this review. Its purpose is to leverage the latent possibilities in the construction industry to unlock innovation and increase demand for solid wall insulation. Benefits derived from treating properties with SWI, in addition to the carbon reduction benefits, include -improving comfort, health and well-being; supporting fuel security by reducing overall energy demand; addressing fuel poverty;improving fabric and reducing maintenance costs; regenerating neighbourhoods; and contributing to GDP and tax revenues. The economic case for the energy efficiency of the UK housing stock is also strong. However, current demand for SWI is depressed for a variety of policy and technical reasons. At the same time, SWI has developed somewhat of a poor reputation due to numerous examples of inadequate installation and poor workmanship. The report considers that if SWI is to be promoted as an effective retrofit solution, these areas need to be addressed with urgency. The Green Construction Board is therefore keen to see increased demand for SWI and better standards of design and installation, so as to significantly reduce carbon across the domestic sector of the built environment. With so many property archetypes existing, there is no single solution that would apply to all properties. This adds to the confusion by householders of what is the correct solution for their individual properties. To make matters worse, the building physics for some types of property is not widely nor perhaps fully understood. This has resulted in many instances of an incorrect solution having been applied, which in some cases has caused damp, mould or poor air quality. Little wonder then, the reluctance of homeowners to spend money retrofitting their properties if the outcome cannot be assured. To overcome these problems, a higher level of expertise is needed in assessing the correct solution for a particular property and in ensuring that it is installed properly. The top 12 domestic property archetypes in the UK account for approximately 15.5 million homes. They represent around 60% of the total UK housing stock and 57% of its greenhouse gas emissions. Of these 15.5 million homes, around 3.5 million (some 23%) are suitable for SWI. SWI therefore has the potential to benefit a significant number of homes and play a key role in reducing greenhouse gas emissions from the UK domestic housing stock. From this group of 3.5 million homes suitable for SWI, 75% are owner occupied (2.6 million); 10% are owned by Local Authorities or Housing Associations (340,000); and 15% are private rented (550,000). Nearly 1.2 million of these homes (34%) are categorised as containing ‘vulnerable households’. Leadership arrangements for making these recommendations happen. The report also contains a number of case studies of different property archetypes. Industry bodies have joined forces to urge government to commit to a target of upgrading the energy efficiency of existing homes at a rate of 1 million a year by 2020. In an open letter to Lord Deighton, commercial secretary to the Treasury, the heads of environmental groups, charities, membership organisations and trade associations warn that the UK’s homes are among the “coldest and draughtiest in Europe” resulting in high energy bills and “one of the worst records on fuel poverty and preventable winter deaths”. A report “A housing stock fit for the future: Making home energy efficiency a national infrastructure priority” accompanies the open letter. It sets out the economic case for improving home energy efficiency. Speaking on behalf of the coalition, Paul King, chief executive of the UK Green Building Council, said: “Making home energy efficiency a national infrastructure priority – and offering it significant support alongside transport, energy generation or communications projects – would not only cut households’ rocketing energy bills and help tackle climate change, but would create thousands of new jobs and strengthen the UK’s energy security”. 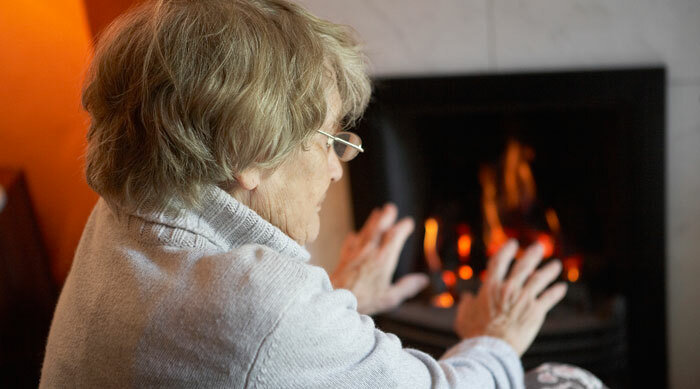 The Centre for Sustainable Energy (CSE) is leading a number of support agencies and groups across Bristol, England as part of a Department of Health-backed project aimed at breaking the link between cold homes and bad health. The new Bristol City Council-backed Keep Warm in Bristol project aims to improve the health of thousands of deprived Bristol households by tackling the thermal comfort of their homes. The Partnership Council is a community charity based in Radford, Nottingham, UK has been given planning permission by Nottingham City Council to convert a small terraced house on St Paul’s Terrace in Hyson Green into the Hyson Green Eco House. The Eco House will be used as a base for money-saving information and community workshops to help local people save money on fuel bills. Free workshops will teach simple, affordable DIY techniques, which people can use in their own homes. Nottingham City Homes will lend the property to the Partnership Council, to help improve the quality of life for local families. We are now just awaiting the final paperwork. “Other Eco Houses in the UK have cost thousands of pounds to reduce their energy bills. Most are large houses with big gardens, owned by organisations or people who can afford expensive adjustments – installing heat pumps, solar panels and hi-tech insulation. Our Eco House has a concrete back yard and a draughty front door into the living room, its like many local houses. We will show you can cut costs in a small house on a tiny budget, using your own skills, with help from fellow volunteers and recycled materials.